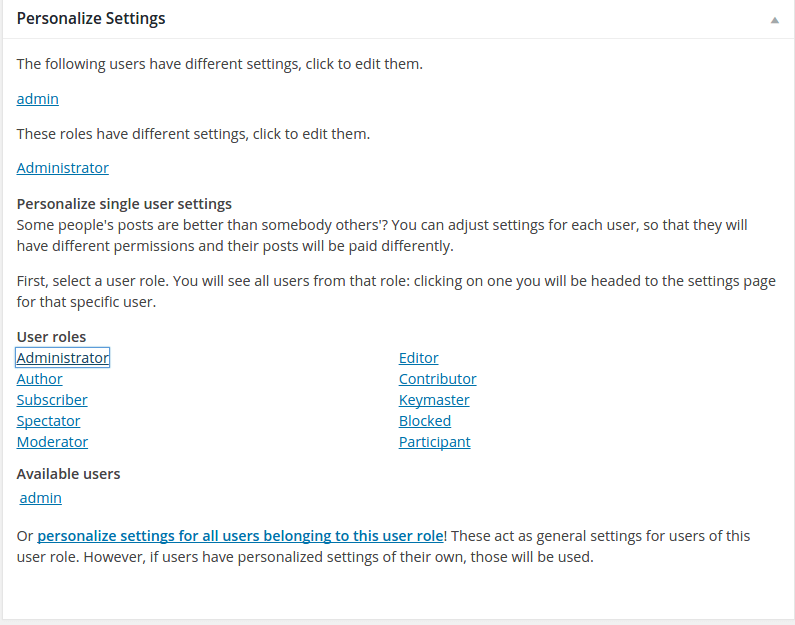 User Roles Custom Settings is an addon for Post Pay Counter and allows you to set custom settings for each user role. This is ideal for sites where payment values and permissions are the same for all users in the same user role. Custom role settings apply to all users belonging to that role. However, each user can still have special settings of their own! Role settings act just as general settings do, but they differ from role to role. All roles without custom settings will just use general settings, of course. The addons integrates in the Personalize Settings box of the Options page. 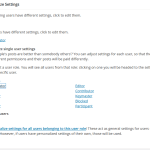 Buy User Roles Custom Settings! First of all, make sure you have the latest release of Post Pay Counter installed and active. As soon as you purchase the addon, you will get an email with the download link and your license key: download the plugin through that link, extract the zip and upload its content (the whole ppc-user-roles-custom-settings folder) to your WordPress wp-content/plugins folder. 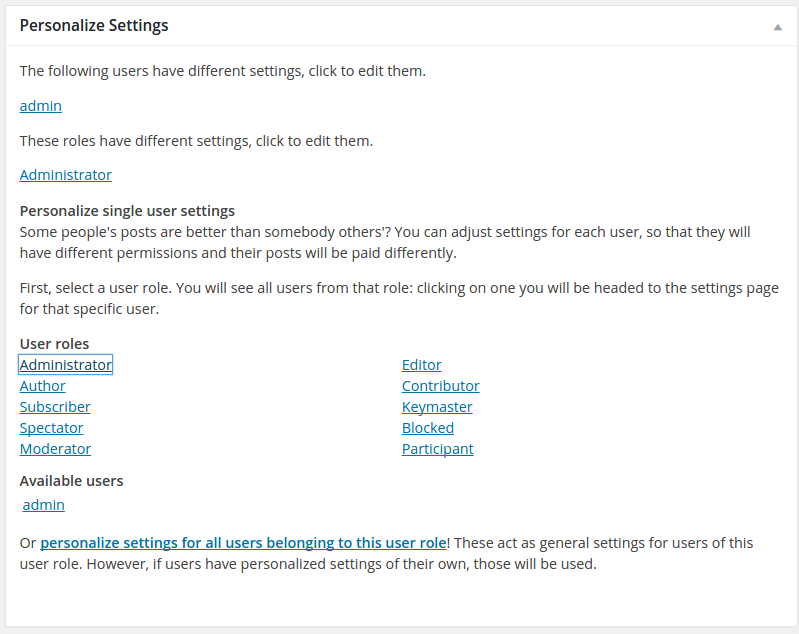 Now head over to your website plugins list page, look for Post Pay Counter – User Roles Custom Settings and activate it. Finally, go to Post Pay Counter > Options > License status, paste your license key in the apt field and hit Submit. You’re done: your license has been activated and you can now enjoy all the new features, which you may find in the Personalize Settings box (after refreshing the Options page).